As of Map Pilot 2.1.0, the ability for the app to download terrain data for adjusting flight plans according to the terrain under them is available as an In-App Purchase. NOTE: The "Access Password" in the Map Pilot settings is not your log in password for Maps Made Easy. It is something that you push a button to generate for free in the profile page in your Maps Made Easy account. A valid access password must be entered in the Map Pilot settings menu first so you can preview the Terrain Awareness feature before purchasing it. 1. Double Tap the screen to drop a purple dot which denotes the anticipated takeoff location. 2. Tap and hold to drop at least 3 orange dots which are boundary markers of the area to be surveyed. 3. Tap the top status bar to open the Options Menu. 4. Tap the Terrain Aware button. 5. Tap the Profile button and the attached screen comes up. By downloading terrain information before planning a flight, Map Pilot will design the flight path to take changes in the ground elevation into account. Anyone who has tried to map uneven terrain knows that it is almost impossible to maintain consistent overlap when the Altitude AGL is changing with terrain. Consistent overlap leads to consistent GSD and higher quality map processing results. This is not a sensor based solution and is compatible with all Map Pilot supported aircraft. Once terrain data is downloaded for an area it is available for offline flight planning. This image shows how a flight planned to take off at the bottom of a canyon will go up and down the canyon wall to maintain a consistent 60 meters above ground level altitude. The Terrain Awareness feature uses SRTM (or Shuttle Radar Topography Mission) data that has been specially formatted for use with Map Pilot. The SRTM data was collected in 2000. As of late 2015 the highest level of detail (30 meters/pixel) was made publicly available. This is a great example of how NASA's work helps people. From USGS: "Endeavour orbited Earth 16 times each day during the 11-day mission, completing 176 orbits. SRTM successfully collected radar data over 80% of the Earth's land surface between 60° north and 56° south latitude with data points posted every 1 arc-second (approximately 30 meters)." We are using the "SRTM 1 Arc-Second Global" variant. This data is available in the USGS EarthExplorer system. NOTE: Starting in version 3.1, access to the terrain data is handled by logging into Maps Made Easy within the Map Pilot application. Copy/Pasting the Access Password around is no longer required. In order to be able to access the terrain data with Map Pilot, a valid Maps Made Easy Access Password must be entered in the settings. Think of an Access Password as a password that allows the app to download the data. Once terrain data is downloaded for an area it is available for offline flight planning. To get the Access Password you will need a Maps Made Easy account.  Once you are logged in to your Maps Made Easy account, go to https://www.mapsmadeeasy.com/profile on your mobile device and copy the value in the "Access Password for 3rd Party Applications" box so you can paste it into the Map Pilot settings box labeled "Access Password". If the "Access Password for 3rd Party Applications" entry is blank on the Maps Made Easy page, push the "Request New Password" button to get one. If at any time you need to change your password to keep it secure you can push the "Request New Password" button again to get a new one. Terrain Data accesses are tracked by the Maps Made Easy system and are monitored for scraping or abuse. Accounts found to be associated with bulk download of the data will be terminated. With this new capability comes a few more things to think about when planning a mission.  Due to limitations in the aircraft, the DJI SDK, the source data and real world obstacles any terrain aware flight should be carefully reviewed and verified before taking off. Return To Home - When the RTH button is pressed on the remote or any other event that triggers a Return-to-Home occurs, the aircraft will ascend to the currently set Return-to-Home height if it is higher than its current altitude and proceed in a straight line to the takeoff location. The thing to consider here is that if, for example, you fly up and over a mountain and you are down on the other side back near your currently set return to home height and an RTH event occurs, the aircraft will fly in a straight line back to the takeoff location and directly into the mountain. This shouldn't be done because the flight would violate line of site requirements but it is still possible to send your aircraft there. To combat this, all terrain aware flights will automatically adjust the Return to Home height to be 60 meters higher than the highest altitude encountered in the current flight path (if possible). Even if the aircraft is right next to the takeoff location when this occurs and is only 60 meters over head, it will ascend to higher than the highest point, come home and descend. TL;DR - Don't fly up and over stuff because the return to home function wasn't really designed for these kinds of scenarios and there isn't anything Map Pilot can do about it. Maximum Flight Height - DJI limits the height an aircraft can fly to 500 meters with respect to the takeoff point. A warning message and a red line will appear in the elevation plot to show the areas that are over the 500 meter limit. When a red line is present you will not be able to accept the terrain adjusted flight and take off. Minimum Flight Height - Flight below the takeoff level is much harder to maintain a solid RC link. A warning message will show and a yellow line is drawn to show the takeoff level. Source Data Limitations - 30 meter pixels are HUGE. This is the highest resolution elevation data that is available. Look around you and imagine that everything was turned into flat 30 meter squares. There is certainly some data loss. Date of Collection - This data was collected in the year 2000. If a mine pit was dug before that it may show up. If it was taken after that, it will not. Unrepresented Obstacles - A utility pole, for example, will not show up. Skyscrapers may show up but the 30 meter granularity will cause issues for the accuracy of the height of the building and the area surrounding it. A vertical cliff face will be located plus or minus 30 meters. These are examples of vertical features that will not be well represented due to the size of the data samples and how it was collected. Missing Data - 99.9999999% of the supported area is well covered. The data is MOSTLY fine. There are areas where the where the radar was unable to get a reading that have "voids". These empty data locations are in areas where the data has not been fully processed by NASA and are generally in areas of deep ground features or glaciers. In the presence of a "void", Map Pilot will use the last known good elevation. This is the safest course of action since these voids usually occur in deep places the aircraft shouldn't be going to anyway. The voids are usually small and Map Pilot attempts to overestimate the altitude. The use of the Terrain Aware planning tool is the same whether you are connected to the aircraft or not. The flight path definition is the same as it always has been except now when you tap the Terrain Aware button it will download the elevation tiles from the surrounding area and calculate the optimal flight path based on the terrain under the defined line. If the planned flight violates the various limits in some way or you would like to adjust it, tap the Terrain Aware button again to hide the plot and tap it again to recalculate. If you have not purchased the Terrain Awareness feature you will be prompted to do so when the terrain plot preview is dismissed. Actual terrain adjusted flight is not available until the feature has been purchased. NOTE: Making changes to the flight plan while a terrain plot is showing will not make changes to the terrain plan. Touching and sliding a finger on the elevation plot will draw a light blue dot on the map that corresponds with the location of the touched location. This can be used to check the intended flight path and verify that the elevation that is shown in the plot is what the user sees in the real world. After planning a flight and reviewing it to make sure that everything looks good, the Upload button will get pressed to start the final flight path calculation step. When Terrain Awareness is enabled, there is a prompt for whether or not to execute a terrain adjusted flight. If "No" is selected, a normal flat flight will be programmed at the designated altitude. When "Yes" is selected, one final profile look up will be executed along the path. Then the user will have the opportunity to Accept or Reject the proposed flight profile. Rejection will allow the user to make further tweaks. Accepting the propose flight will upload it to the aircraft. Terrain Aware flight is started the same as usual. During flight the plot will be available by toggling the Terrain Aware button. Hiding and reshowing it will not cause a new profile calculation during flight. The orange vertical line shows the current progress along the flight path and shows the current elevation information for aircraft's location (red triangle). Tried a few planning sessions and it looks like there's a minimum mission altitude of 60 meters. Also, the app is $19.99 for those who didn't know. Well worth it, MME, nicely done! Tried a few flight planning missions myself (apple pay $9.99). Below 60 meters might still be possible as the pop up does not indicate you can NOT....."Altitude Warning" states, ".....not recommended below 60m....." We'll see as I haven't tried a mission with this feature, yet. Either way, very slick, and once again, well done MME. You continue to earn my loyalty!! Thanks! Flight below 60m is possible but due to weirdness in the source data is isn't recommended. While we attempt to filter out bad data, a few bad elevation pixels can cause a problematic altitude deviation (crash). Hi Tudor, I am looking for accurate elevations for a DEM, rather than perfect pixels. I'm looking to map about 5 acres sloping downhill Should I use Terrain Awareness? Does using Terrain Awareness require internet at all times? Is there any way to pre-plan a mission with terrain in the office and then go offline to take in the field? i.e. can you cache the terrain data ahead of time like a map cache so you don't have to be internet connected in the field? It seems like it tries to re-download the elevation tiles right before wanting to fly it? A few times in remote areas where we thought we had at least a minimal internet connection, Map Pilot crashed when trying the Terrain Awareness capability. Thanks. "This is not a sensor based solution and is compatible with all Map Pilot supported aircraft. Once terrain data is downloaded for an area it is available for offline flight planning." Terrain Awareness does not require an internet connection after the data has been loaded. This means you can make a loose plan for where you are going to fly before leaving the office and then go out into the field and be able to make adjustments there. For William: Slow or minimal internet is often worse than no internet at all because it causes timeout errors and inconsistent loading. We recommend all data is loaded while on a solid connection. Como faço para comprar? Qual o link? Hoje eu comprei o Map Pilot Bussines achando que já vinha embutido. fiz um gasto desnecessário. Thanks for making this feature! A quick clarification question. Zane's comment and the article both state: 'This is not a sensor based solution'. Based on reading the article and using this feature its clear that the waypoints are calculated based on SRTM and not onboard sensors. However, it is not clear to me if use of terrain terrain awareness mode results in disabling sensor based obstacle avoidance. Could someone clarify this point. Thank you! Obstacle avoidance will still work if it is turned on. Map Pilot does not touch those settings. The aircraft will just stop if it detects something and it is up to the user to figure out what to do. It not being a sensor based solution means it is not directly sensing the ground to adjust the height. It is all done via elevation lookup from known values. When I have the aircraft connected and load terrain awareness profile it works ok but how do I remove the profile from the screen. Using iPhone 6s Plus. how it 'll maintain the image overlaps in hilly area?? The footprint (area on the ground) the camera sees is directly related to the altitude you are flying. Terrain Awareness keeps that altitude as even as possible to keep the GSD the same. If you fly a flat flight instead it will high areas where the footprint is smaller and larger which messes up the overlap and GSD. To day i flew dji p4p drone over 6 acres in hilly area with(terrain awareness) AGL 100m & overlaps 90/80 but i felt overlaps is not sufficient at low elevation area. will it affect in DEM? ?